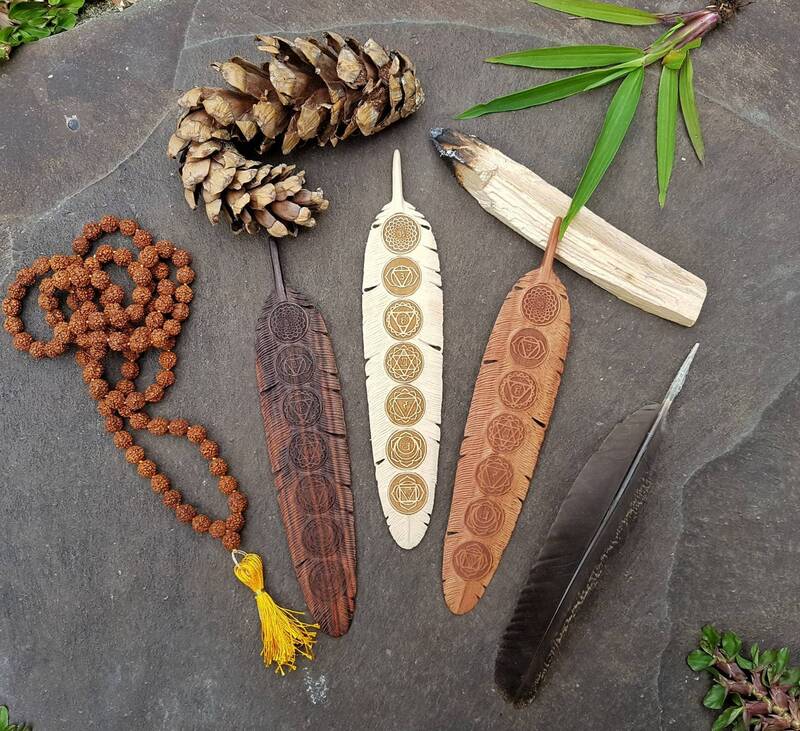 Join us in the upliftment and freedom of the worldwide feather tribe with these beautiful unique hand carved 7 Chakras wood feather pendant necklaces... #TogetherWeFly! Available in 3 different types of wood: Mahogany (dark brown), Gentawas (pale yellow), Rosewood (reddish brown). The colours may vary depending on the light and the background. Please also keep in mind that every feather is unique as it is hand carved. 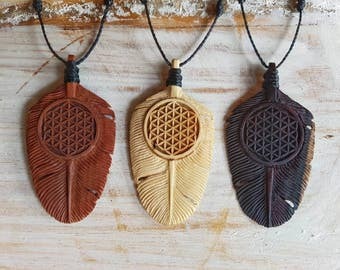 The Flower of life pendant is excellent for healing and helps in connecting to the higher self. Rosewood helps to clear the negative energy preventing you from healing yourself. Mahogany heals the emotions and spirit. Having this wood as a pendant can help you grow spiritually and provide guidance. This feather pendant is 7.28 inches (18.5 cms) from the top to bottom and 1.45 inch (3.7 cms) in the widest part. The cord is tied in a way that the length is adjustable. The bare pendant has a 2mm hole for threading through. The pale yellow feather is hand carved from Gentawas, dark brown one is from Mahogany and the reddish brown feather is carved from Rosewood. All pendants come with with 1mm premium waxed polyester cord in black. This piece will go on my altar. Absolutely beautiful!